The first floor of the Calabash has a fabulous kitchen and dining room combination. The large living room, two bedrooms, and two full baths complete the lower level. 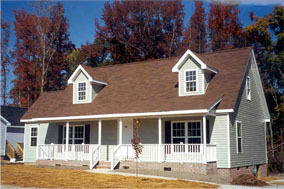 The suggested second floor adds two additional bedrooms and an abundance of closet space.